Let the adventures continue! 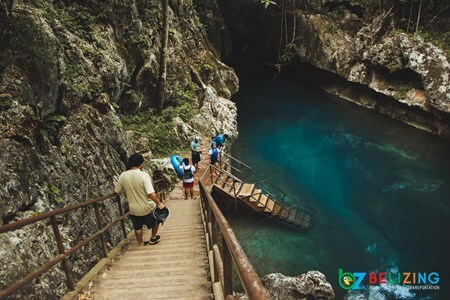 On day two of our three-day adventure with Belize Caving Expeditions we headed to the Crystal Cave at St. Herman’s Blue Hole National Park on the Hummingbird Highway. 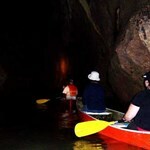 Just like the kayaking, this was my first time spelunking! 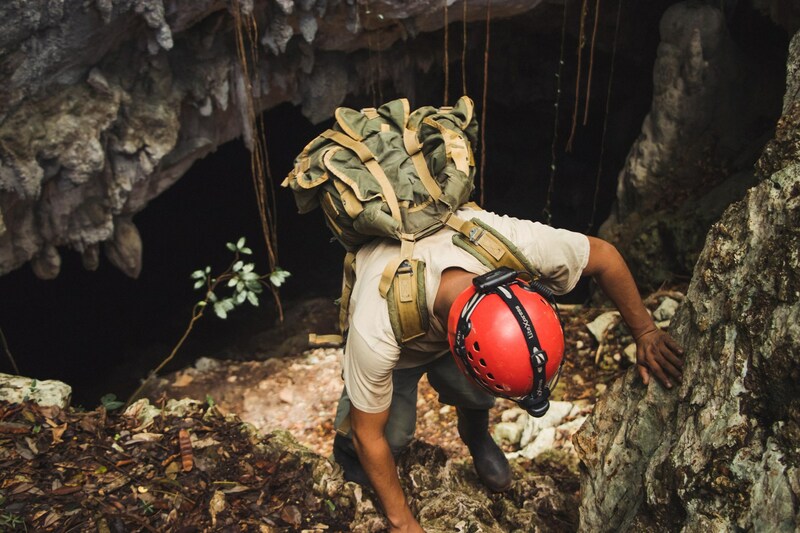 Since my shoulders were a bit sore from all the paddling, I was hoping that this trip would be a walk in the park – or should I say, a walk in the cave. 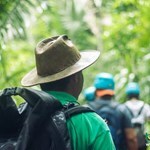 Upon arrival at the parking lot of the national park, we changed into our hiking clothes, and grabbed our gears and water supply. 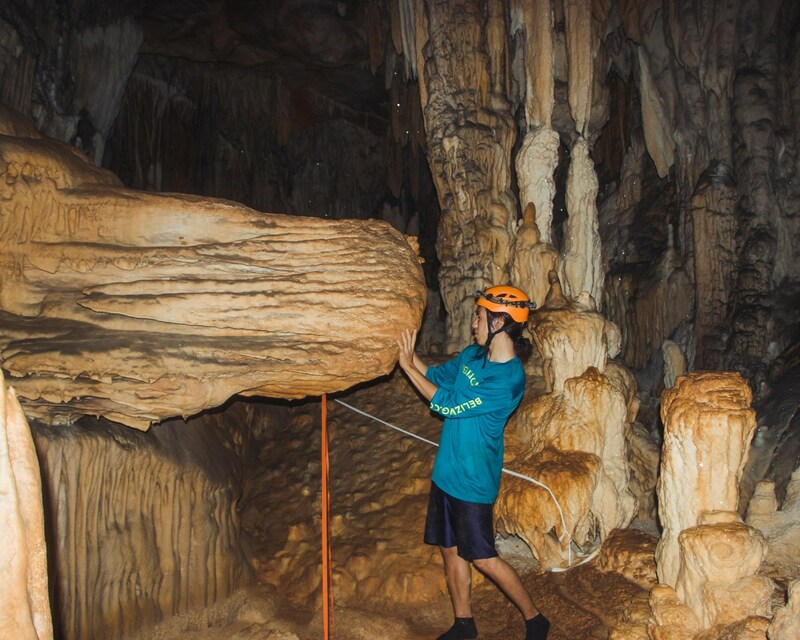 While doing this, Edward, our guide, mentioned that from a scale of 1 to 10, the difficulty level of the Crystal Cave is an 8! When we were all set and ready, we walked to the information center where we logged our names and received a briefing of the site from one of the park rangers. After we were briefed, Edward led the way into the trail with Selwin, our other guide, behind us. 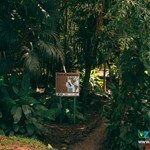 The trail was through a dense rainforest that canopied over us. Little by little, the trail became narrower and more difficult. Soon, walking turned into climbing – and I was not physically prepared for this type of exercise! 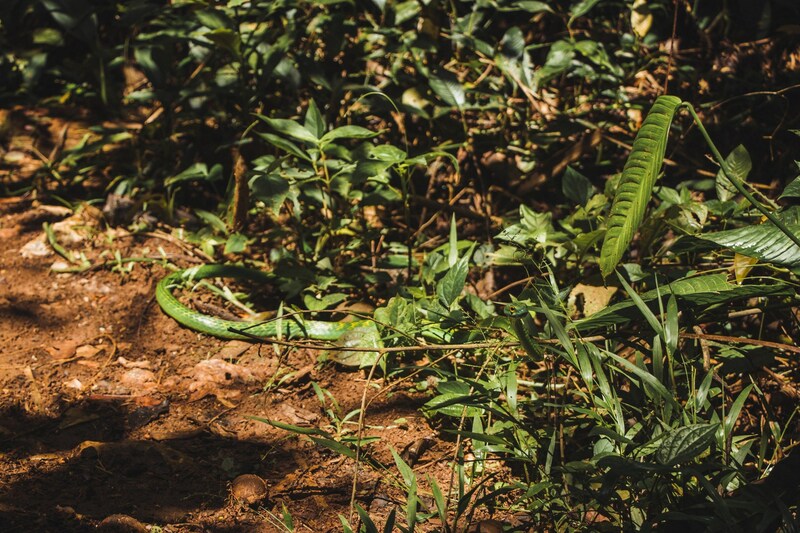 Along the way, we encountered a Green-headed Tree Snake. Due to my astigmatism, I couldn’t see where it was as it blended well into the bushes. 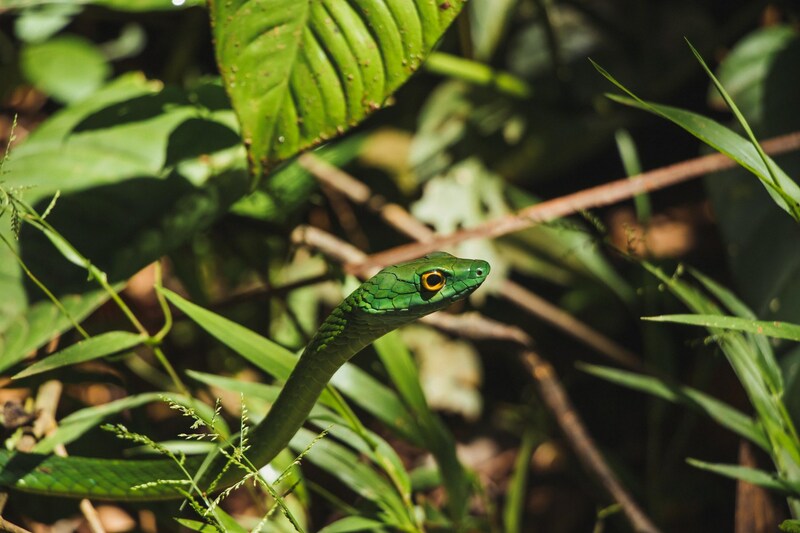 After refocusing my vision, I saw the long, slithering green snake relaxing on a plant stem. Not wanting to provoke the snake, we continued on our hike. By this time, we were approaching the halfway mark of the trail. We sat and took a water break before continuing our journey. Although it was rather cool in the forest, all of us were sweating profusely. This hike was no joke! After hiking for about an hour, we reached the top where the entrance of the Crystal Cave was. Before entering, Edward advised us to use the faciliTREES while we had the chance. As you may know, there aren’t any toilets in the cave. 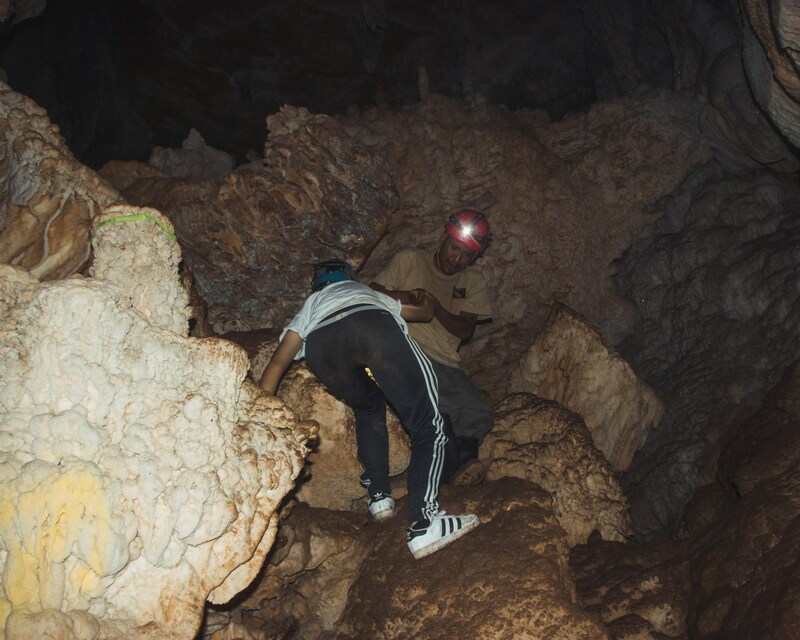 One by one, we climbed down the cliff that led us to the opening of the cave. This was our first milestone of many to come – we just didn’t know yet. 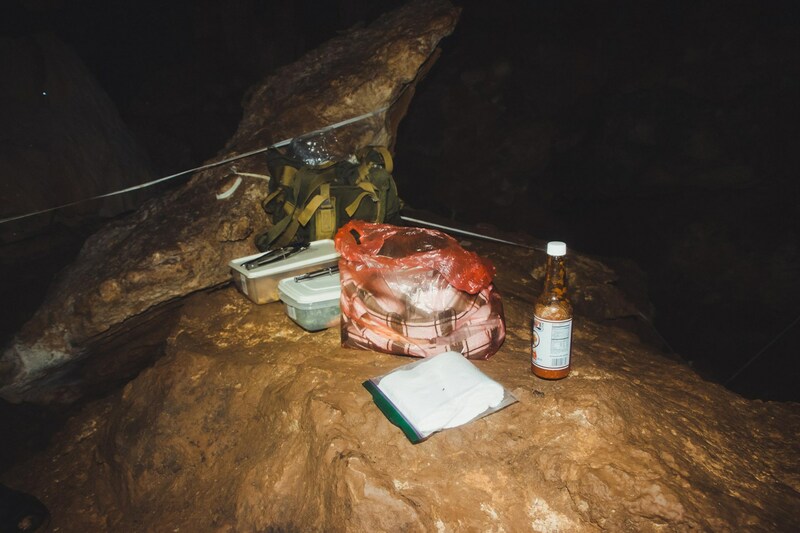 When we entered the cave, Edward had advised us to take off any excess weight that we had on us so navigating through the cave would be easier. So far, we were walking through the cave. The ground was damp and a bit slippery so we had to be careful of where we were stepping. 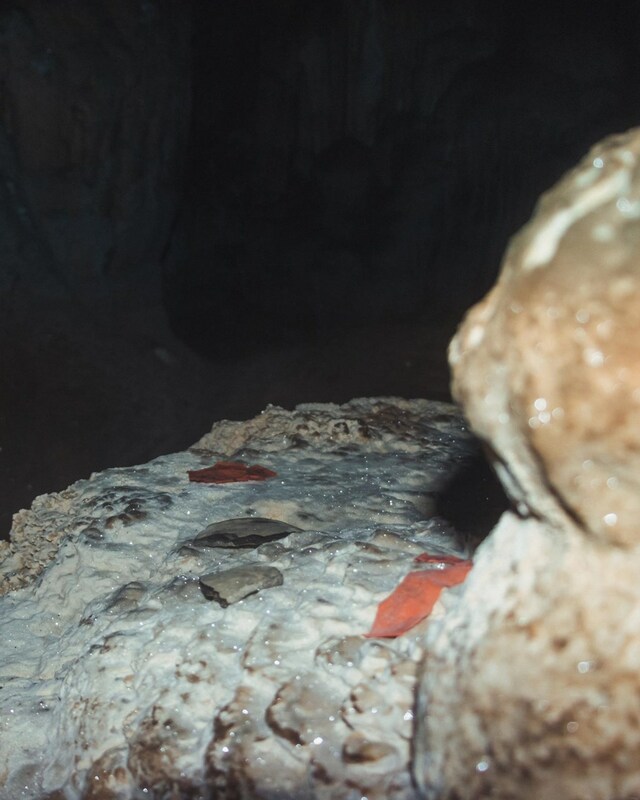 Slowly, the cave became more and more difficult with steeper climbs and descends along with smaller pathways. 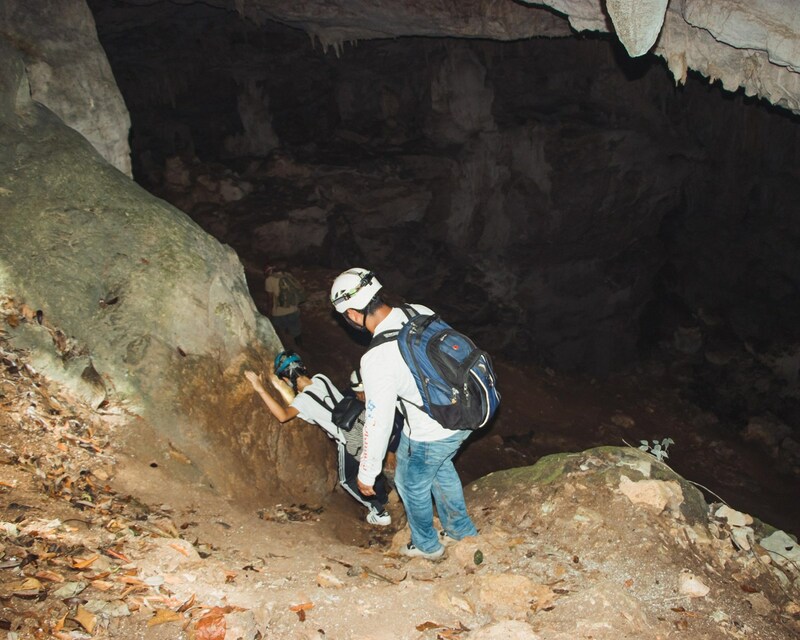 Miraculously, we were able to fit through narrow cracks, tiny tunnels, slippery slopes and high climbs for the entire time that we were underground. 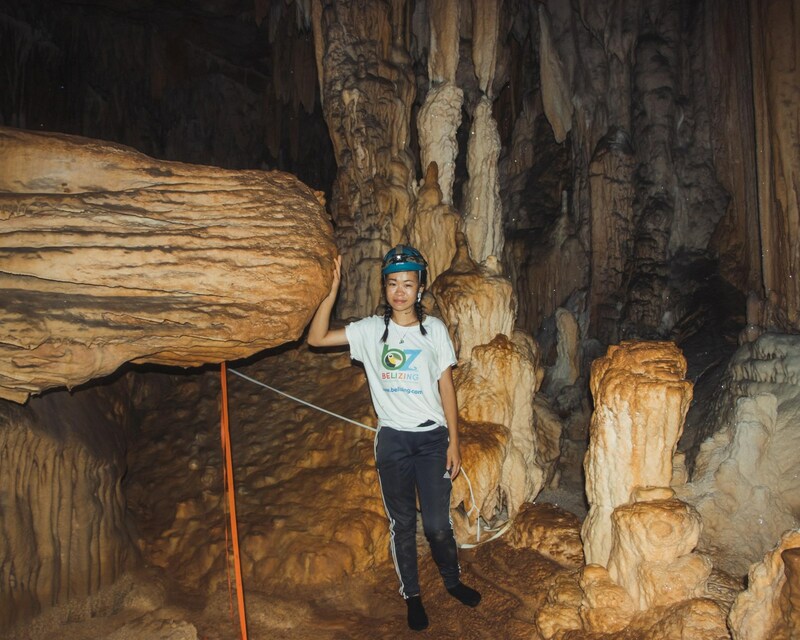 Exploring the Crystal Cave requires a lot of upper body strength that will allow you to pull yourself up and balance yourself while you are climbing down the caverns and rock columns. 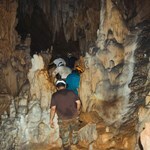 Although it was a grueling journey, the cave was spectacular! 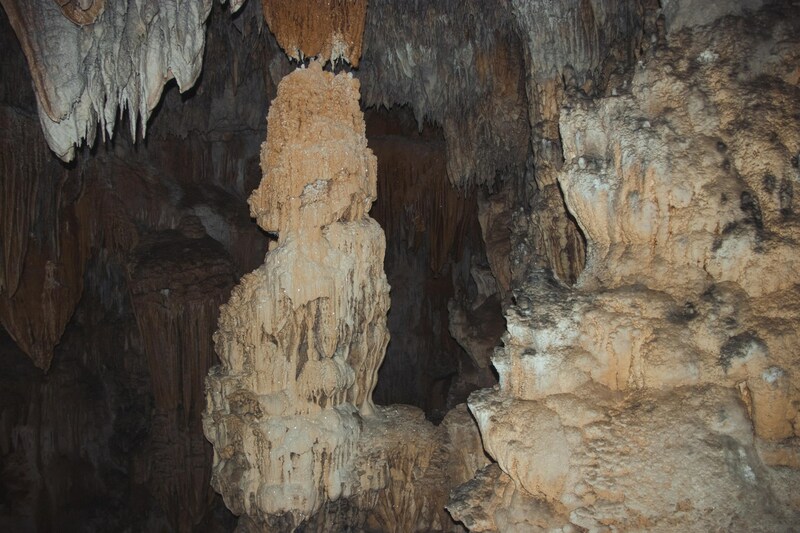 Within ten minutes into the cave, we were able to see magnificent stalactites, stalagmites, large stones and mesmerizing crystalline formations. 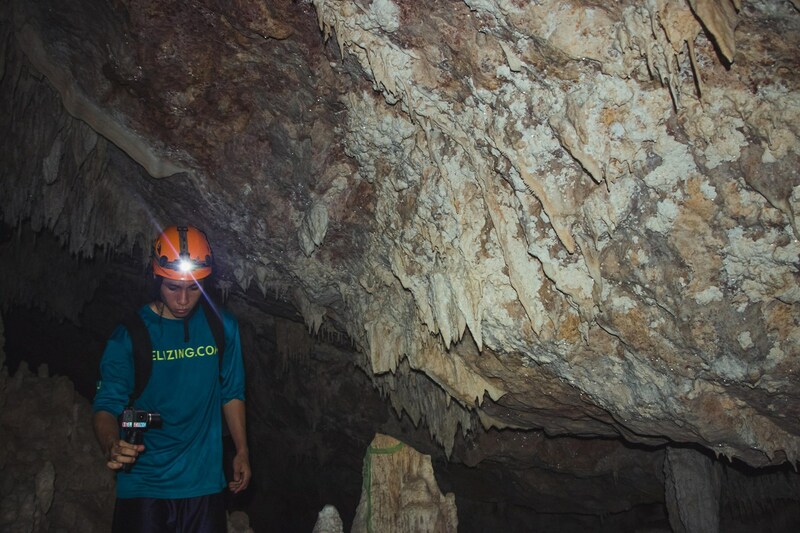 Everyone was captivated and amazed with the amount of crystalline formations that were in the cave! 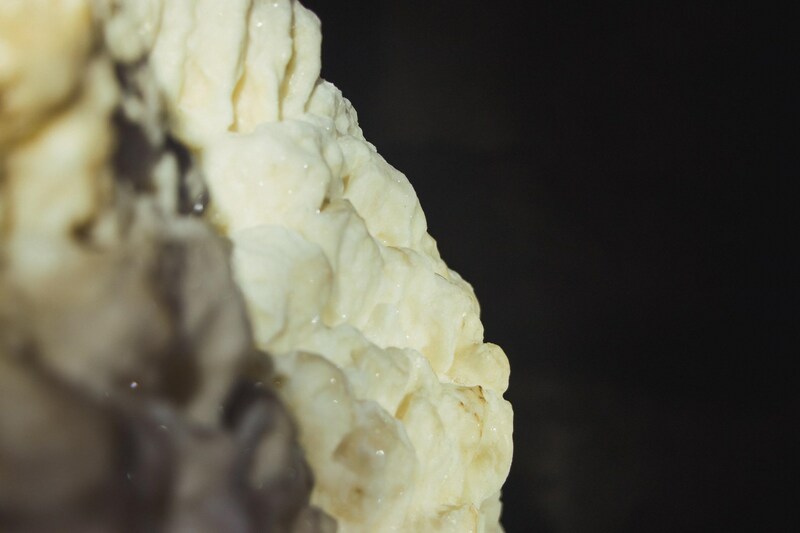 I couldn’t deny how sparkly and beautiful these formations were in the cave. The pictures simply cannot do it justice. All that went through my mind were the lyrics from Rihanna’s song, Diamonds, "shine bright like a diamond, shine bright like a diamond, shine bright like a diamond!" 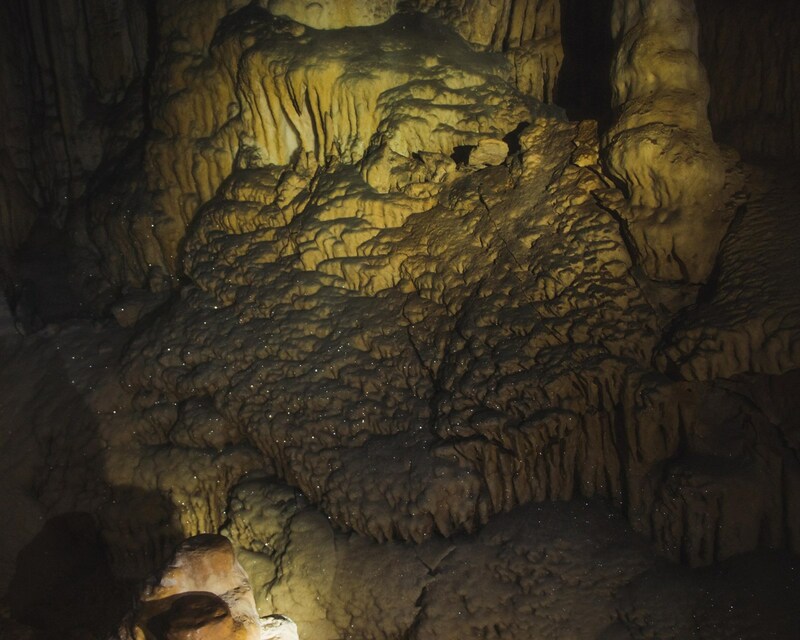 Flashing our headlights on each formation and throughout the cave, our eyes met with all the sparkling crystals. 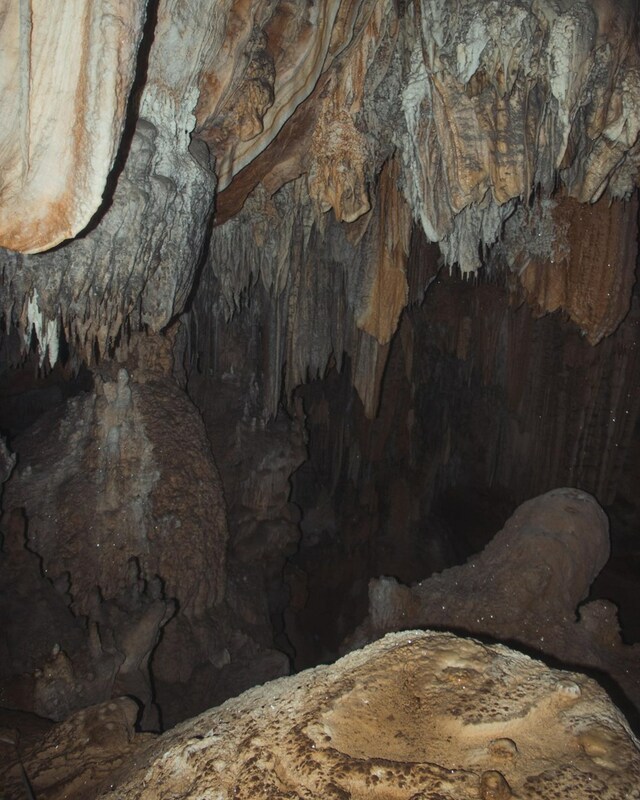 In the ancient Maya times, the Crystal Cave was an integral part of their tradition and culture. 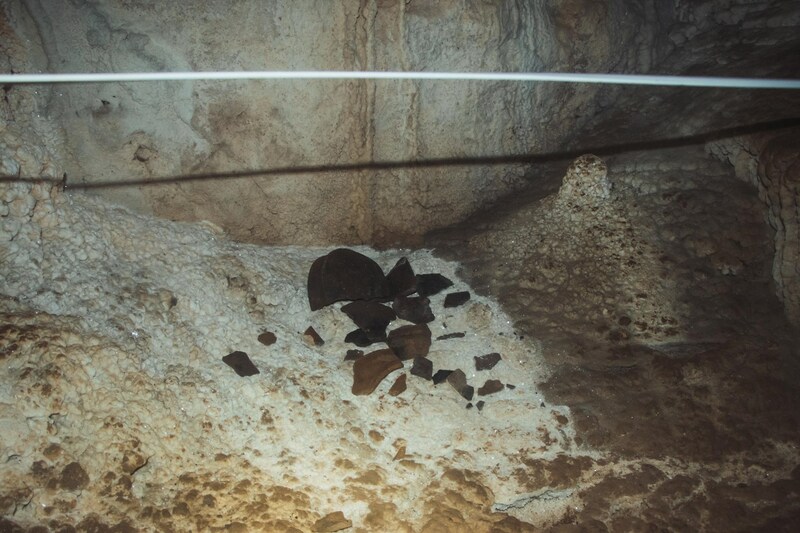 Maya priests, known as shamans, would travel through this cave to perform rituals and sacrifices to appease their gods or to request for certain amenities such as sunlight or rain. 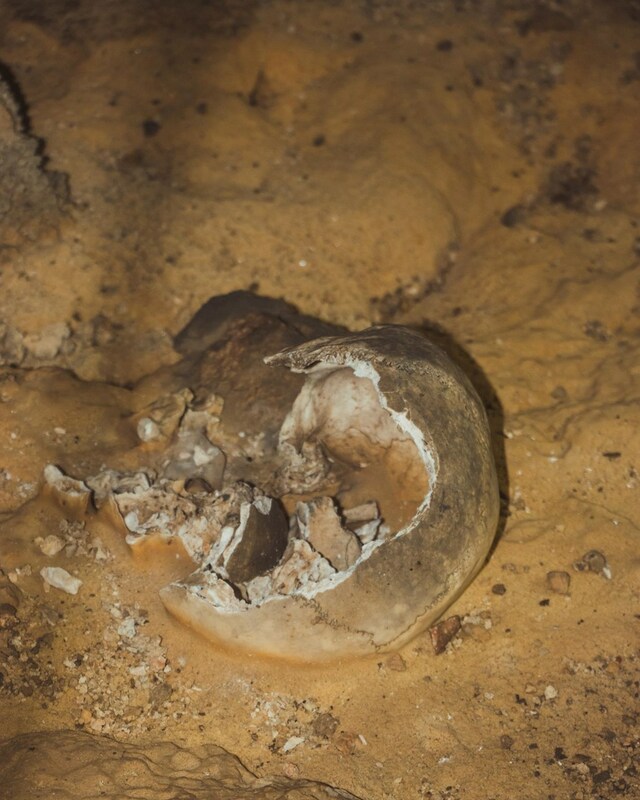 Evidence of human sacrifices and rituals are found in the cave. 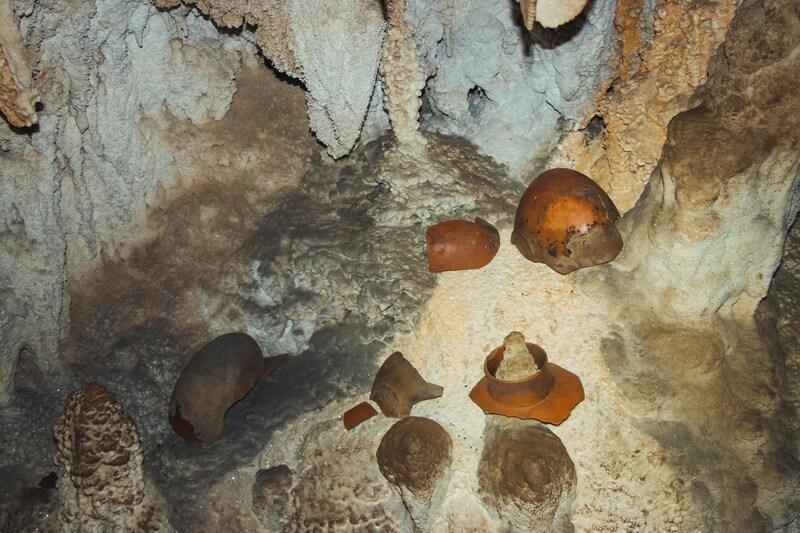 Throughout the Crystal Cave, which is one of the largest cave systems in Belize, there are broken pots, ashes and bone remains scattered in corners and hiding in cracks. Before we knew it, our stomachs started to growl, signaling that we were ready for lunch. Edward and Selwin arranged for us to have lunch in the ceremonial chamber. But, before we made it to the ceremonial chamber, Selwin guided us to a little tunnel where the remains of a human skull were left. 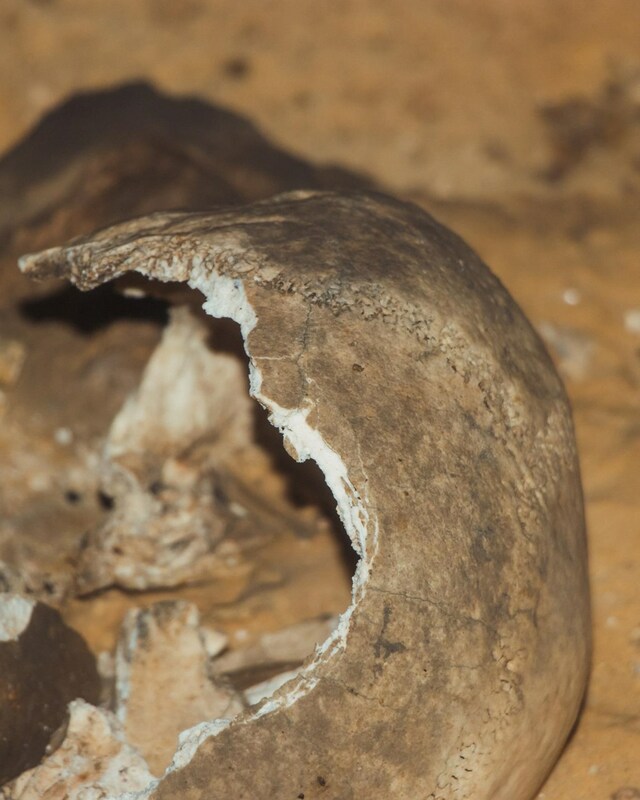 He explained that it is indeed a skull as we could have seen the sutures on the surface of the bones. After climbing down the stones and columns into the ceremonial chamber, we washed the mud off our hands and prepared for lunch. For lunch, we had the tastiest burritos! Edward and Selwin packed shredded chicken, veggies, cheese and tortillas for us to make our own burritos. They also packed a bottle of the beloved Marie Sharp’s hot sauce. I was able to devour two burritos that were extra stuffed with lots of meat and veggies. Luis and I suffered from a severe case of fatigue after eating. We just felt like taking a nap on one of the rocks. But, no! We had to make it to Wonderland. 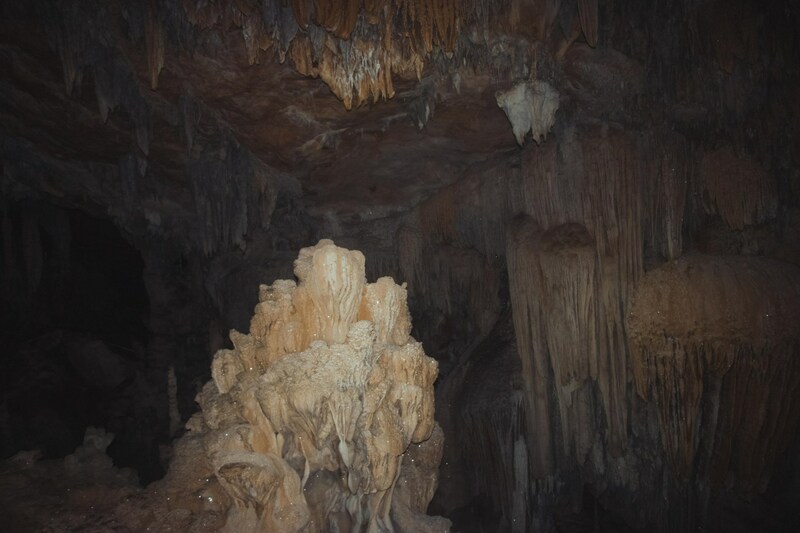 Wonderland is a stunning crystalized chamber at the end of the caving tour. Many do not make it to Wonderland since the journey down the cave is exhausting and requires a lot of energy and strength. 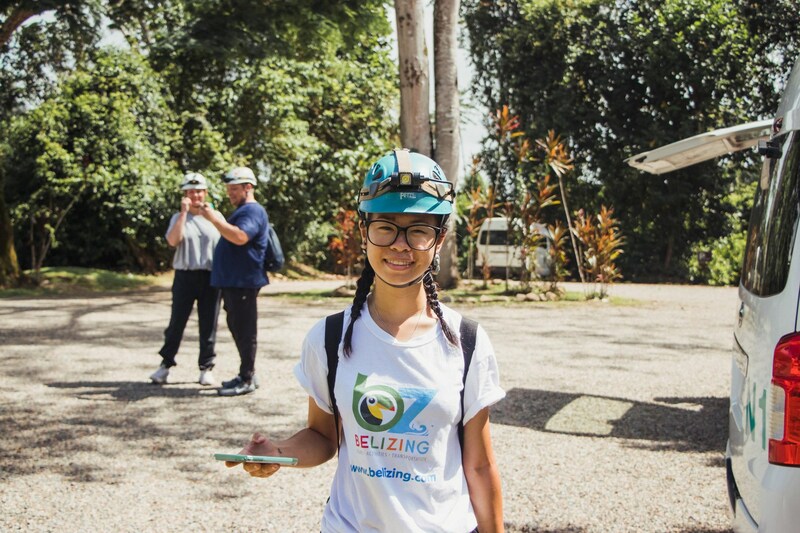 However, the Belizing Team was determined to make it to the end and witness Wonderland. We continued the path to wonderland. It was slippery and difficult – but not impossible. 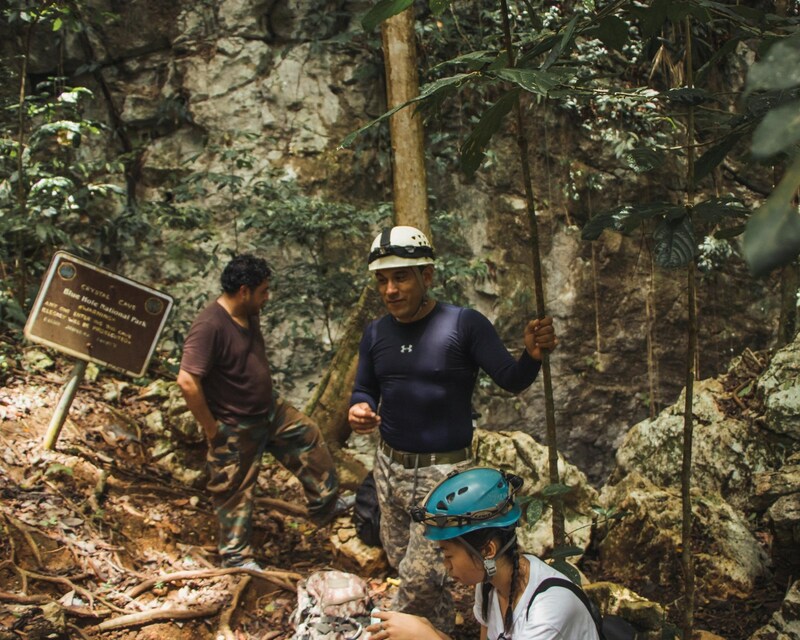 Edward and Selwin were super helpful and cautious when it comes to our safety and for us to get through the cave. When we got close to Wonderland, we were told to take off our shoes and continue the rest of the way in our socks. This was much better for the Belizing Team. Finally, we were able to control our steps and find grip from the feel of our toes. Wonderland was astonishing. The entire chamber glittered, almost blinding my eyes! 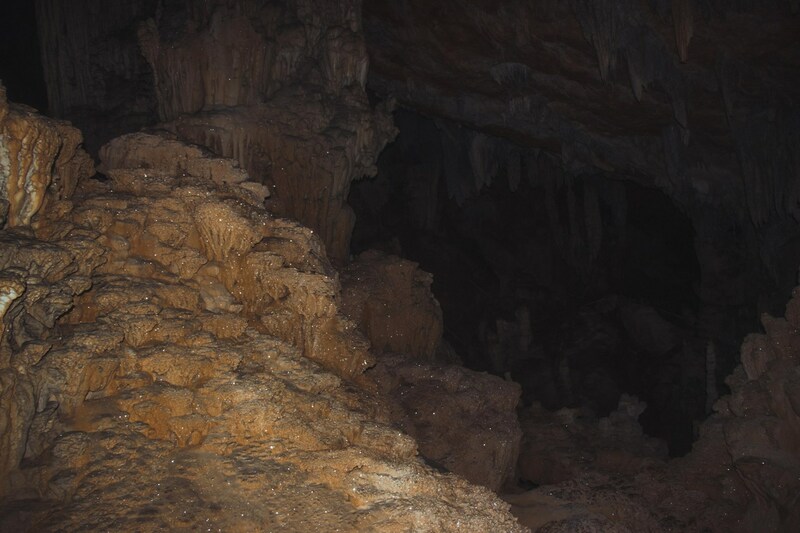 There were two significant features of Wonderland that are not found anywhere else in the cave. 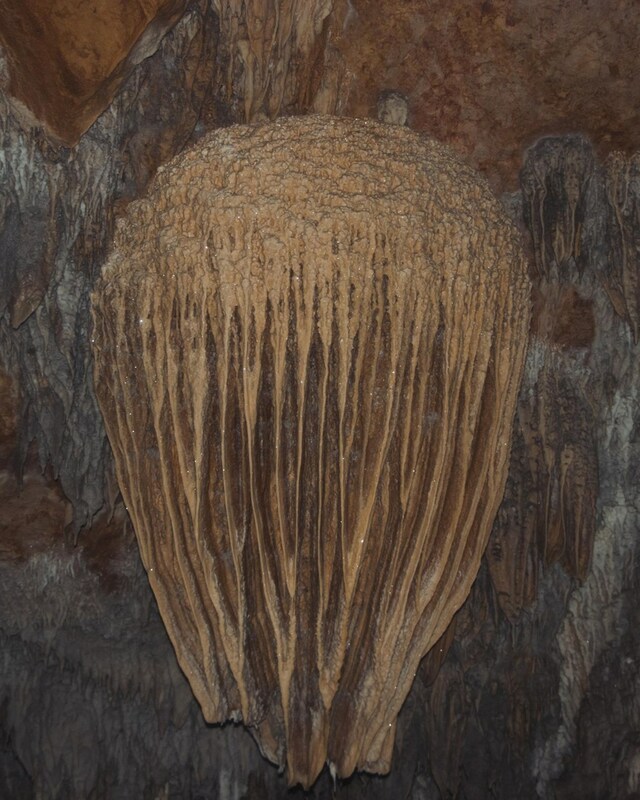 This was a massive boulder that was sticking out of the chamber’s walls and a formation in the shape of a unicorn horn called the unicorn horn! It was mandatory for each of us to take a picture with these distinct indicators to prove that we made it into Wonderland. 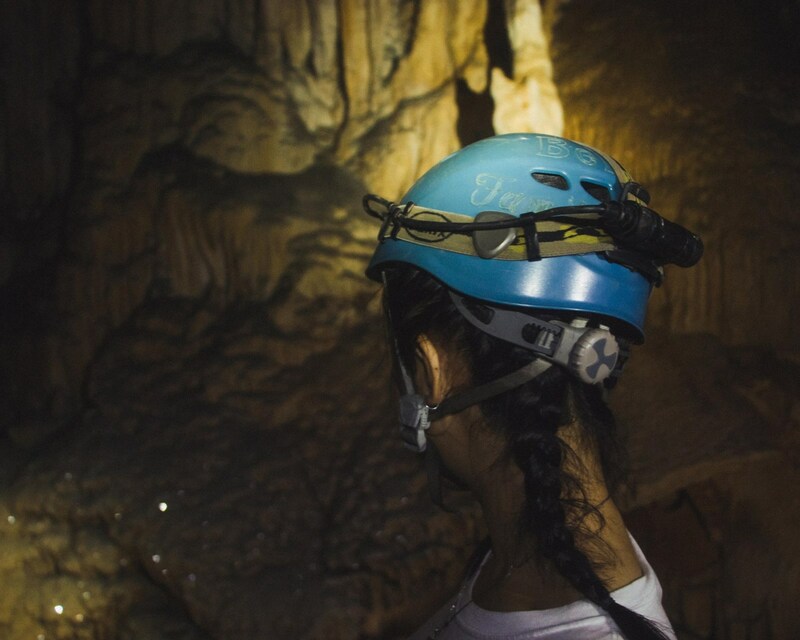 This caving experience in wonderland was an experience of a lifetime! Although the trip was extremely strenuous, it was definitely worth it! 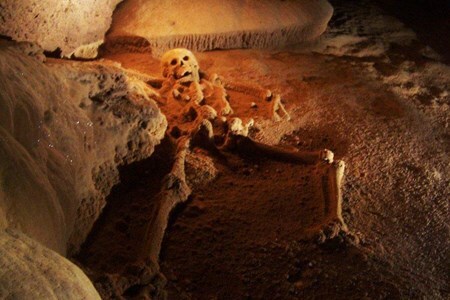 Not many are fit for the challenge to explore the wonders of the Crystal Cave; but, if you get the chance to go, do it! 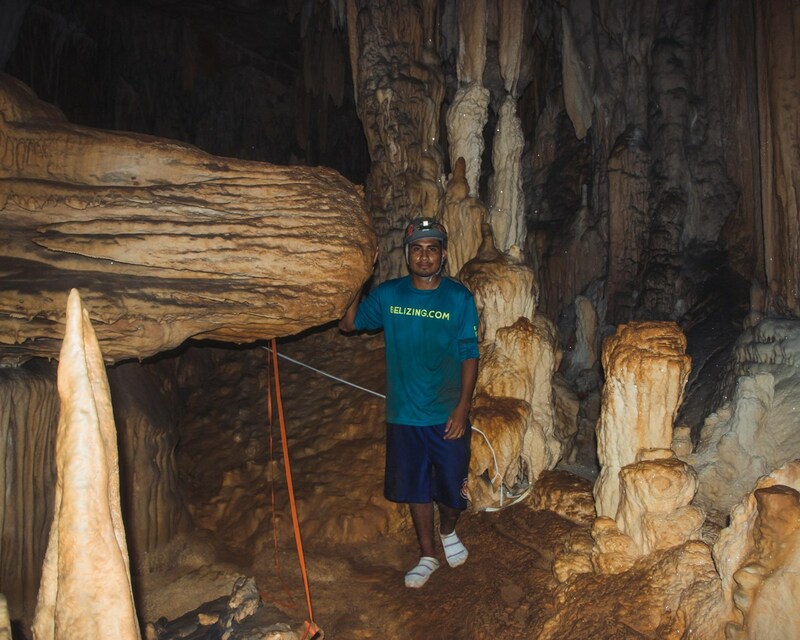 Belize Caving Expeditions has excellent guides that are experienced in their field of cave expeditions and other trips. 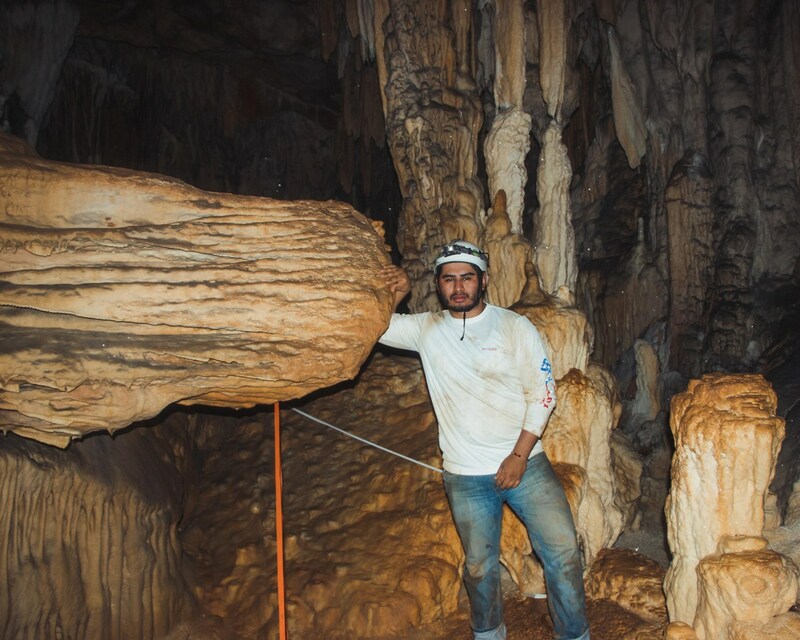 They will make your spelunking trip worthwhile! 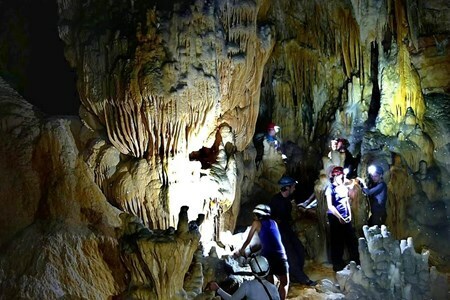 Would you like to go to Crystal Cave with Belize Caving Expeditions? 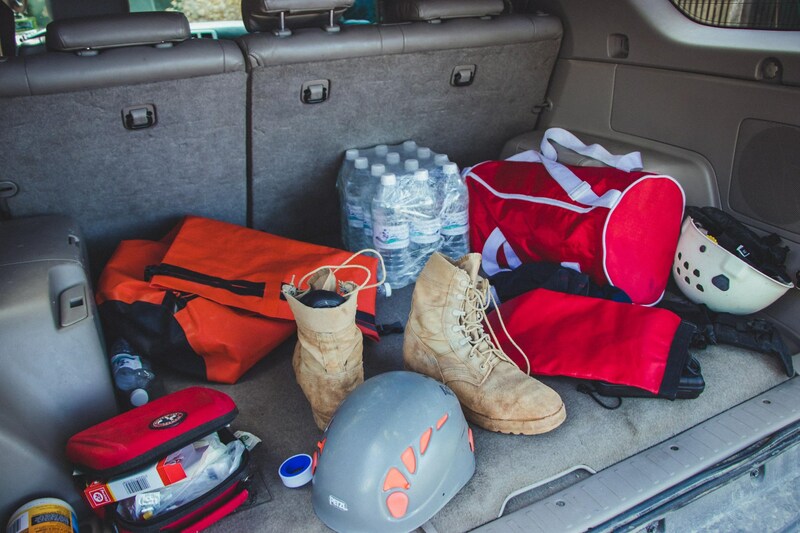 Hiking shoes along with comfortable sweatpants or leggings with short and a t-shirt is most appropriate. 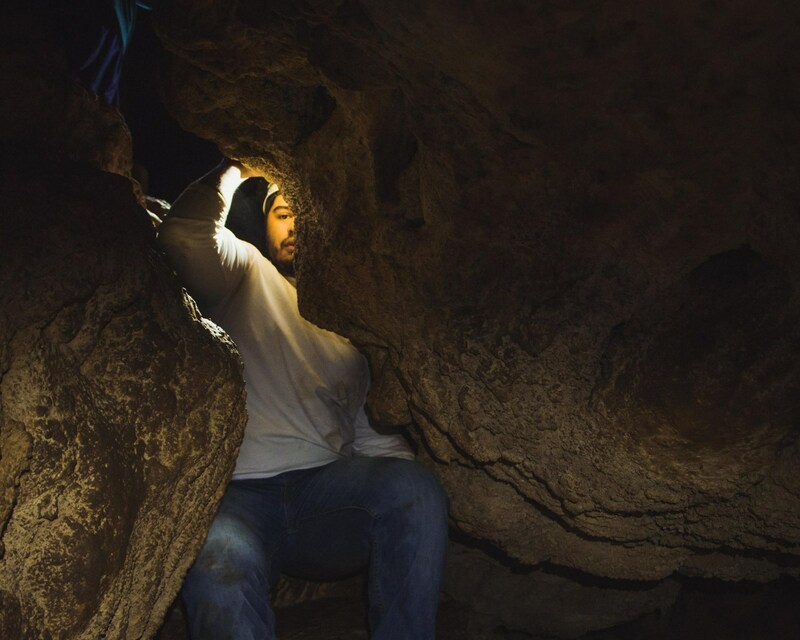 You will be getting down and dirty in the cave so make sure that you have clothes that will allow you to stretch and move comfortably. Camera, and a change of clothes. 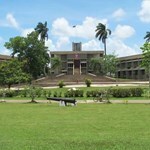 Entrance fee, water, lunch, snack, tour guide, equipment and transportation.